Will gas overtake renewable energy? 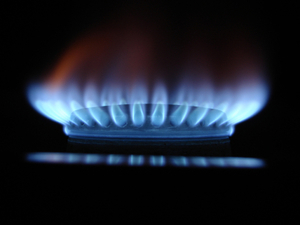 Households which use gas might be surprised to hear that the head of a US conglomerate believes gas will overtake renewable energy in the coming years. Steve Bolze, chief executive of General Electric's power and water arm, told the Guardian that gas is an efficient way of meeting demand when the wind does not blow and the sun does not shine. "More gas [power plants] than wind and solar will be built [in the 10 to 20 years]. Gas is a good alternative to being 100 per cent renewable," he said. However it is not clear whether the number of gas-fired power stations will be consistent with global demand for lowering greenhouse gas emissions. "We need not only to be able to work through these targets, but also to deliver the power that is required in the world. Our role is to supply the industry - and we are seeing more demand for gas," he added.